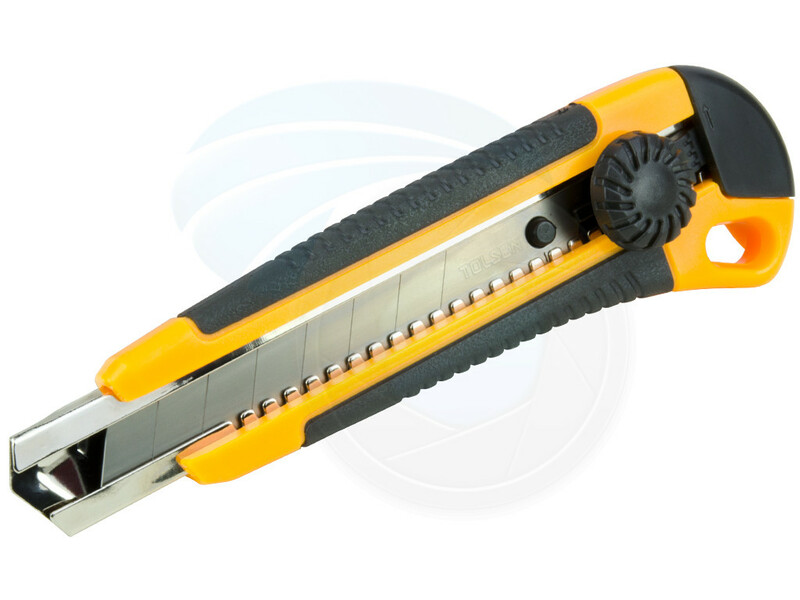 Utility knife with a ratcheting blade mechanism locks the blade at any length for maximum flexibility. 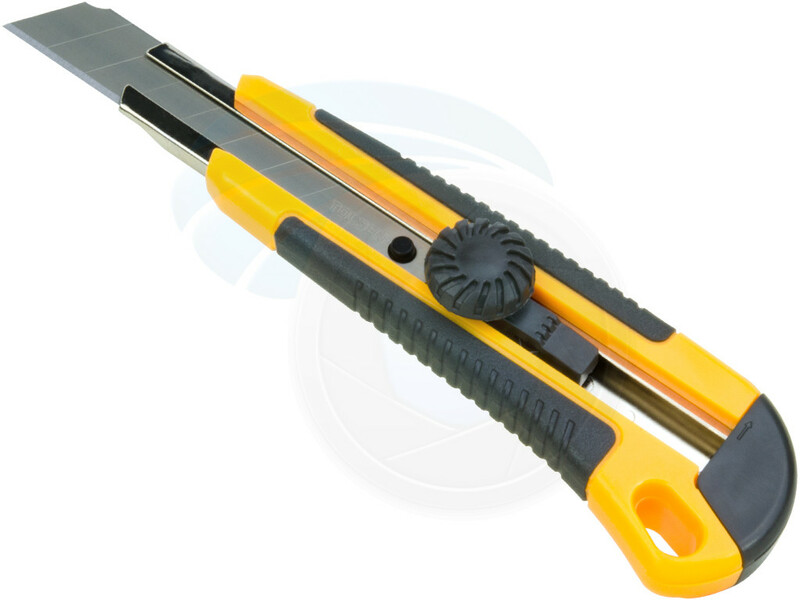 Rigid stainless steel barrel provides smooth action and corrosion resistance. High impact ABS and polymer construction for comfort and durability. 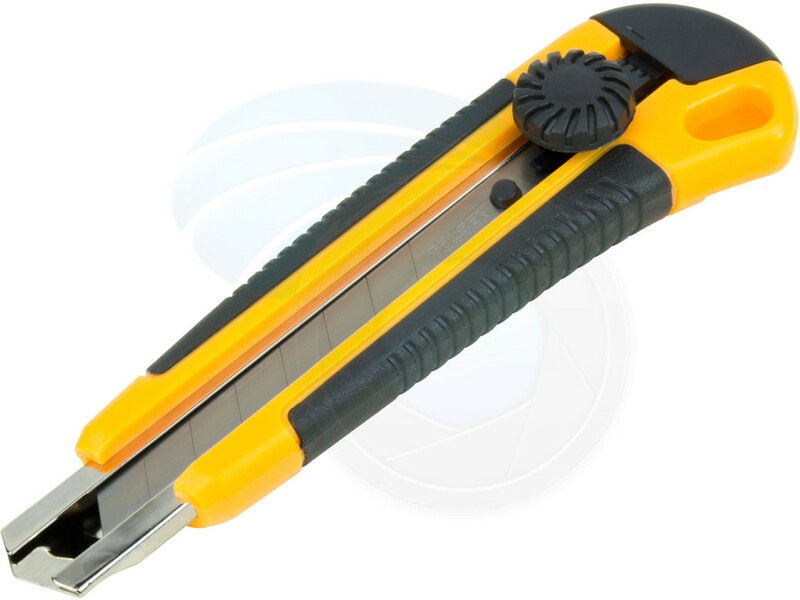 Durable and ergonomic bi-material handle with non-slip TPR rubberized handle. 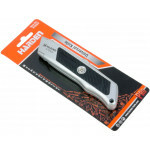 Knife includes a strap attachment hole for attachment to the belt or work uniform. 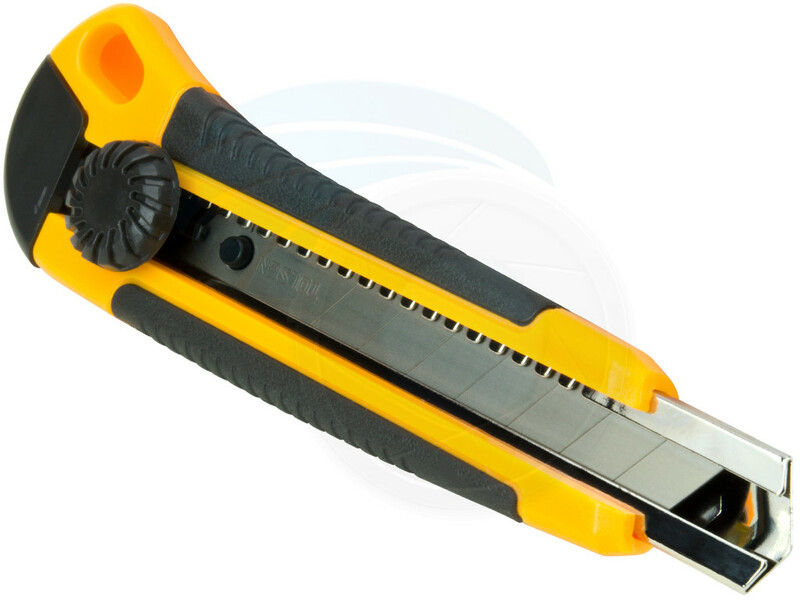 This knife can be refilled with most standard 18x100mm replacement snap-off blades. 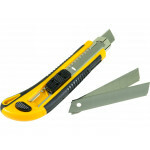 Refill blades are available from us and most hardware stores. 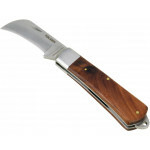 High quality, stainless steel, large curved hawk bill blade. Ideal for stripping insulated electrica.. 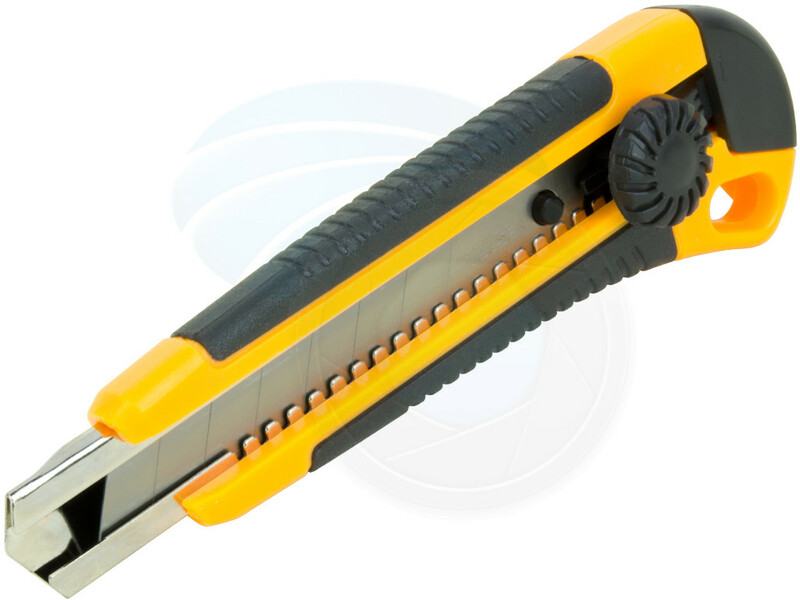 Heavy duty, high quality 3 position retractable utility knife. 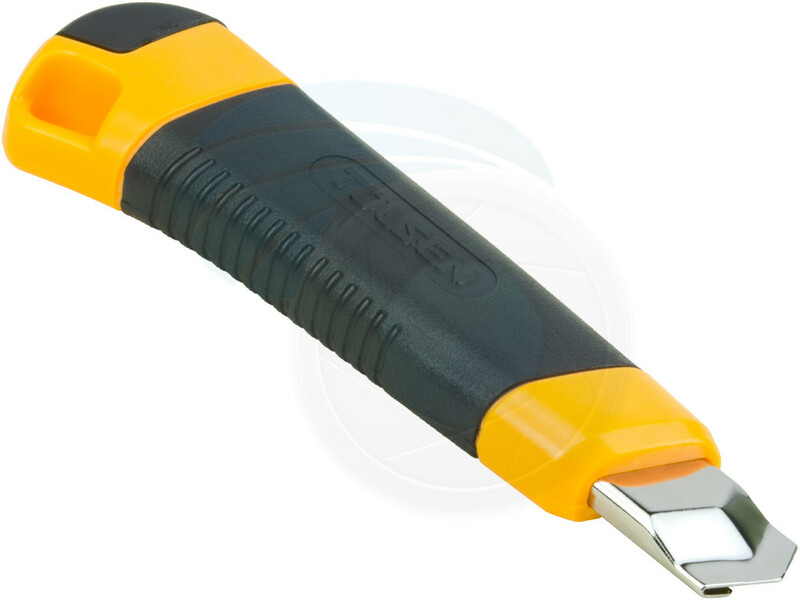 This knife can be used with most stan..